Three great activities in three consecutive days. Day 1 (February 20). Asia Vision-STM invited us to Wood Nymph Restaurant for a planning dinner. AV-STM is a Philippine-based organization that trains Filipinos in missions through training and Short-Term and Encounter missions. AV-STM is committed to proper missionary member care for those who go. We have been working with them with personality evaluation and training. We are presently working with each other to develop a program that meets the needs of AV-STM. Thanks to Jehny and Fhey for taking the lead on developing this program. Day 2 (February 21). At the invitation of Serving Neighbors Network, we were invited to do a training in Intentional Conversation. 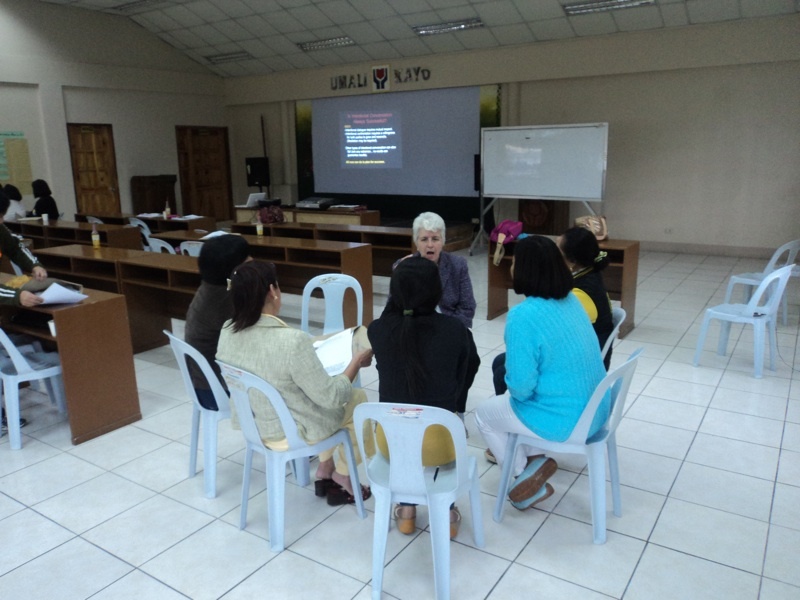 We did a similar training at Philippine Baptist Theological Seminary a month before. 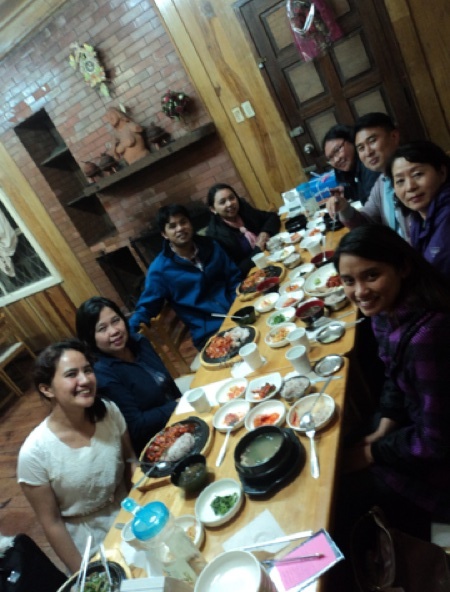 SNN trains children in Baguio through the ALS (alternative learning system) program. Attendees were teachers and barangay workers. There were approximately 20 in attendance. Bob led the primary training, with roleplay and group discussion work by Celia, Becky, and Cori. Day 3 (February 22). We carried out another topic in our series of Mini-Workshops. This training is in Conflict Mediation, led by Dr. Sim Dang-Awan. Doc Sim is an expert in mediation and tribal confict resolution. 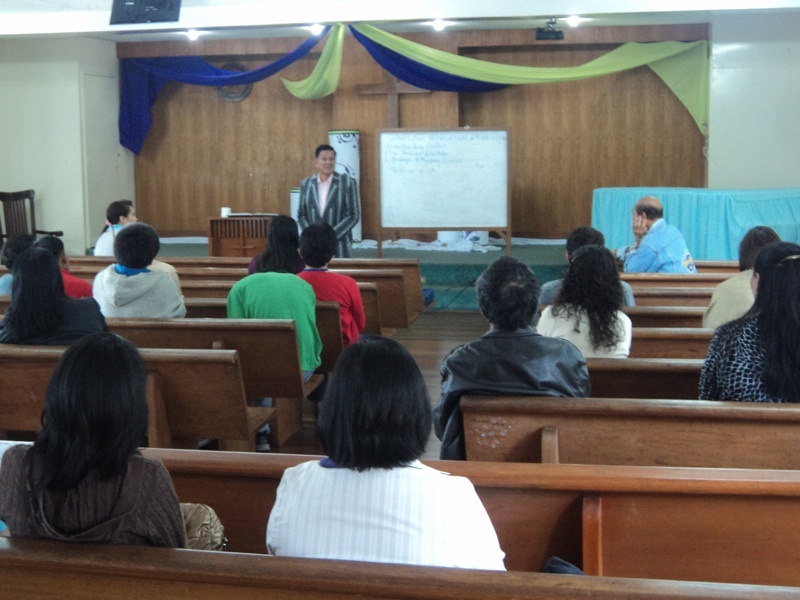 The training was held at Philippines Baptist Theological Seminary (PBTS) , to a group of around 25. We had a very positive response to this and discussion is underway for follow-ons to this important topic.